This Make It Real make up set is perfect for little stylists on the go. 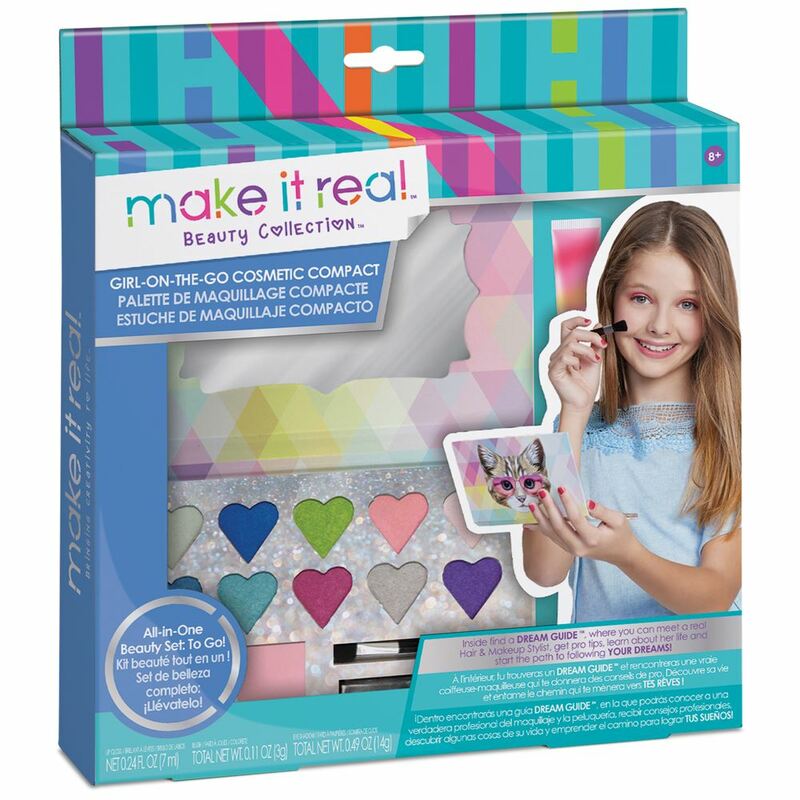 Complete with a mirror, extra body jewels and gem stickers, this kit encourage glittery creative exploration. Includes: a cosmetic case with mirror, 10 eye shadow colours, 2 blush colours, 2 brushes, lip gloss jewel tattoos, instructions and dream guide. Age 8+ years. Part of the Beauty Collection. Distributed in New Zealand by Holdson.